–HIS 270/AMS 370: Asian American History (HA) with Beth Lew-Williams, who is Princeton’s new Asian American studies professor! (More information below). 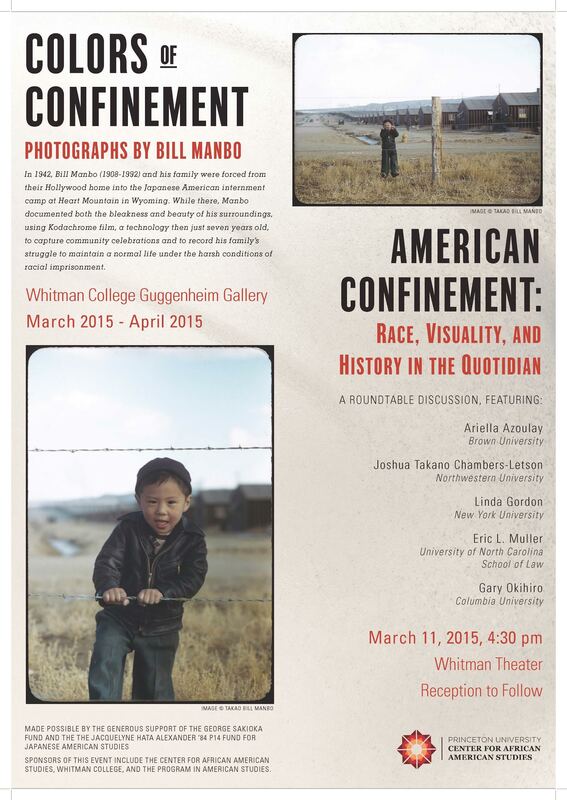 This will be the first time in 20 years that a course is taught at Princeton is Asian American history. If you’re interested, check out the detailed description below. Princeton students have been fighting for the university to offer Asian American studies courses for four decades. Come find out why. This class will approach U.S. history from the racial margins of the nation, focusing on East Asian, South Asian, and Southeast Asian migrants and their descendants. Each lecture will consider both a topic and a question. 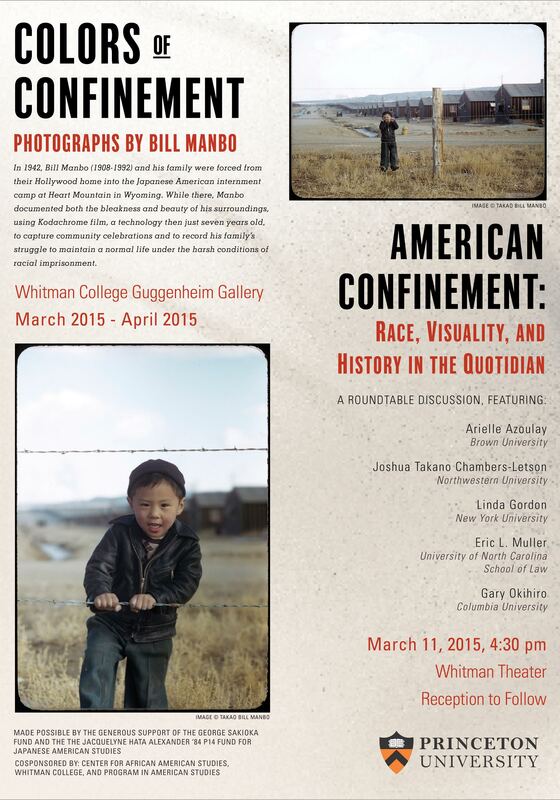 Lectures will include: Chinese Exclusion (or Why did the United States invent border control to keep out the Chinese? ); The Fragmented South Asian Diaspora (or Are Asian Americans between black and white? ); The Model Minority (or How did Asian Americans become the “good” race? ); and Transnational Asian Adoption (or What are the politics of coerced migration?). Students at all levels and from all fields are welcome. This fund encourages and supports original research in the field of Asian American Studies and is open to undergraduates and graduate students in all University departments. Proposed research should directly contribute to senior theses, junior papers, or other course-related projects, or PhD dissertations. Graduate students should email a request, containing a budget and a project description, to Professor Cheng aacheng@princeton.edu, with a copy to Judith Ferszt jferszt@princeton.edu. This fund encourages and supports original research in the field of Asian American Studies and is open to undergraduates and graduate students in both the humanities and the social sciences. Scholarly and/or creative projects are welcomed. Proposed research should directly contribute to senior theses, junior papers, PhD dissertations, and other sustained projects. Please check the AMS website for application guidelines, available starting October 1, 2014. Princeton has launched a search for a senior, tenured professor in Asian American Studies! The search will occur across several departments, with the hire being offered a position in the department suiting his/her field of research along with an affiliation with the Program in American Studies. Further details on the search can be found on the Princeton jobs website here. Applicants should submit a letter of interest along with a vita which includes three names of reference, and a writing sample. The letter of interest should include the candidate’s sense of the field and his or her vision for the future of Asian American Studies. Evaluation of applicants will begin on November 15 and continue until the position is filled. Princeton is an AA/EEO employer and strongly encourages applications from minorities, women, and those with disabilities. Excellence in a humanities or social science discipline. Thematic focus in Asian American Studies. Ph.D. in a humanities or social science discipline. 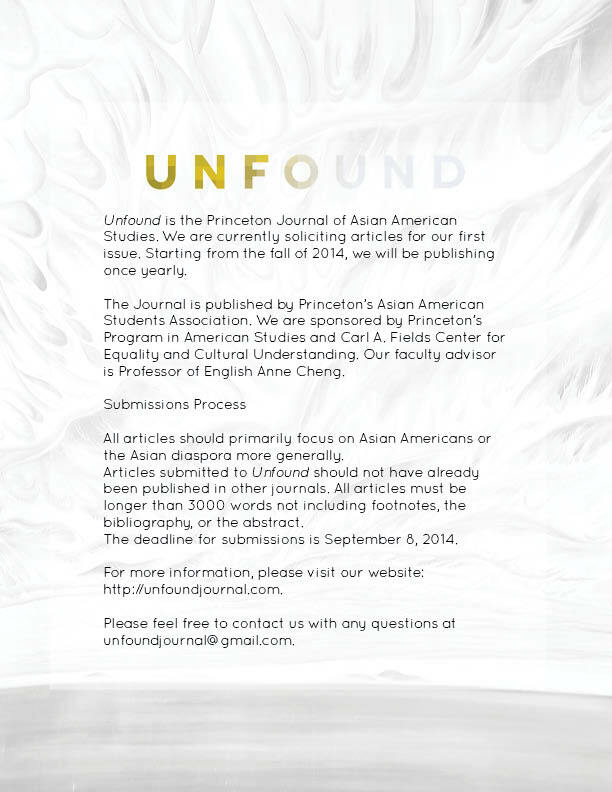 Unfound: The Princeton Journal of Asian American Studies – Submission Deadline in 1 week! Unfound: The Princeton Journal of Asian American Studies has its submission deadline for its fall issue in just over a week!The inaugural volume of the journal is accepting submissions from undergraduates and graduates across the country and abroad. Deadline is September 8 at 5:00pm. Submission details on the flyer below. More information can be found on their website: unfoundjournal.com.